Puerto Madryn is located on the Atlantic coast of Argentina. It is often called the city of whales, as there are an abundance of opportunities to view these magnificent and graceful giants in the waters. There is also an astonishing variety of marine life, making this an attractive destination for divers and snorkelers. Take the Great Patagonian Experience you will see all the wildlife available, go to a penguin colony and have lunch on a ranch. 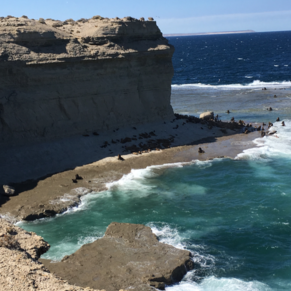 I've struggled with my review of our visit to Puerto Madryn, Princess' Paleontology Museum & Punta Loma, primarily because of my physical limitations during our visit. 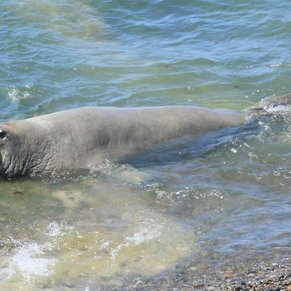 The Punta Loma Reserve protects numerous sea lions and sea birds who live on a beautiful section of coastline. Visited on your own, the bluffs would provide a quiet encounter with the Pategonian shore. During the drive, our guide described the Welsh heritage of the region. I didn't tour the Paleontology Museum but, based on what I've heard and my wife's pictures, it's a place I'd want to explore. 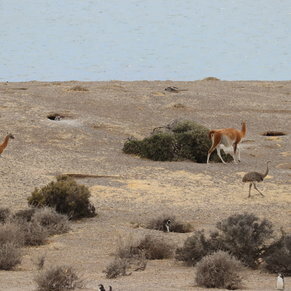 What I did see during our excursion encourages a return visit to Puerto Madryn. A World Heritage Site, a long and bumpy ride to see the seals, sea lions, penguins and more, but well worth it. 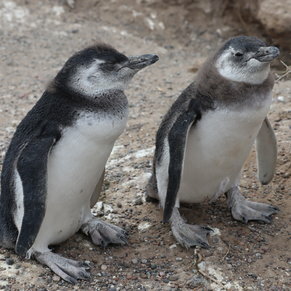 The penguin colony in Puerto Tombo is a must see! 210,000 breeding pairs of penguins!! We visited the Valdez Peninsular on an all day excursion - wonderful and we saw lots of wildlife. 3 of 11 shore excursions in Puerto Madryn, Argentina. There are currently 0 discussions about Puerto Madryn, Argentina.